Join us for some Winter gigs and our upcoming concert season! 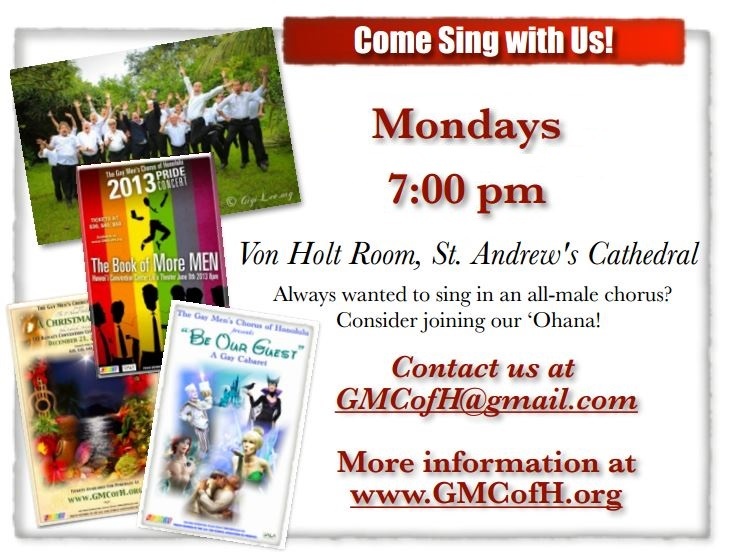 GMCofH welcomes singers to our open rehearsals every Monday evening, beginning February 2018, and continuing throughout the Fall season. Sit in on the rehearsals, sing with your vocal section, and (eventually, if you choose) have an informal audition to become a singing member of the Chorus! 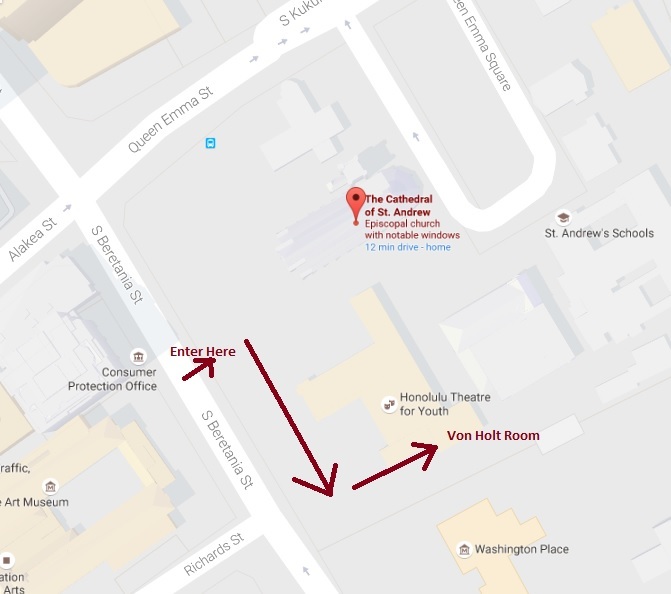 Join us Mondays at 7pm in the Von Holt Room of St. Andrew’s Cathedral. We launch this 2018 Winter season with the music for our Winter Concert (“Fill My Stocking”) as well as select pieces for community appearances this Fall through Winter. Come see what all the buzz is about – and unleash the singing YOU! Find out more here.